A lifetime ago, my incoming junior-year class was required to participate in a “leadership day” at a nearby ropes course. It was my every nightmare come true: uncharted physical activities and interacting with high-school peers who had decided long ago I wasn’t up to par. It never crossed my mind to attempt another such challenge. In those days, some kids just seemed built to succeed: the athletes who dominated every rope course and could lead entire teams to victory, the debaters who could speak flawlessly in front of an audience, the student-government candidates who could confidently list their strengths. I didn’t feel like a born leader, and no teacher, coach or other adult figure led me to believe otherwise. But what if those adults were going about it wrong? The first well-known studies on leadership came out of Ohio State University in the post-war 1940s. These found that leaders were able to work with others, build a team and create a structure to accomplish tasks. Today, we still label children with confidence, strong voices and high self-esteem as natural leaders. By scaling the leadership-development techniques used in business down for ages 10-18, Nelson, also an adjunct professor at USC’s Marshall School of Business, reaches students who demonstrate a high aptitude for leadership while their character is still moldable. “Most schools focus on academics, so leadership doesn’t get developed until adulthood,” he says. “Our goal is to intentionally develop [these skills] while they’re young.” In fact, he has a leadership assessment tool for children as young as 2. “In companies today, there is more focus on teams than in the past,” says Nelson. “You need team players along with people who step up and help that team function well.” His programs, and several others for kids, are dedicated to finding and developing those stepper-uppers. says Meredith Sommers, education partner at FranklinCovey Education, which operates The Leader in Me programs in 3,000 schools across the country. The program begins by educating teachers, parents and other adults who interact with the children. 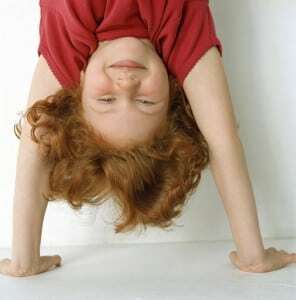 Then, based on the idea that “every child is a genius,” it focuses on unlocking each student’s potential. Leadership development is woven through the entire school system, along with elective courses for older students. “We set up the ecosystem of the classroom so that kids do the work that parents were doing for them,” explains Sommers. 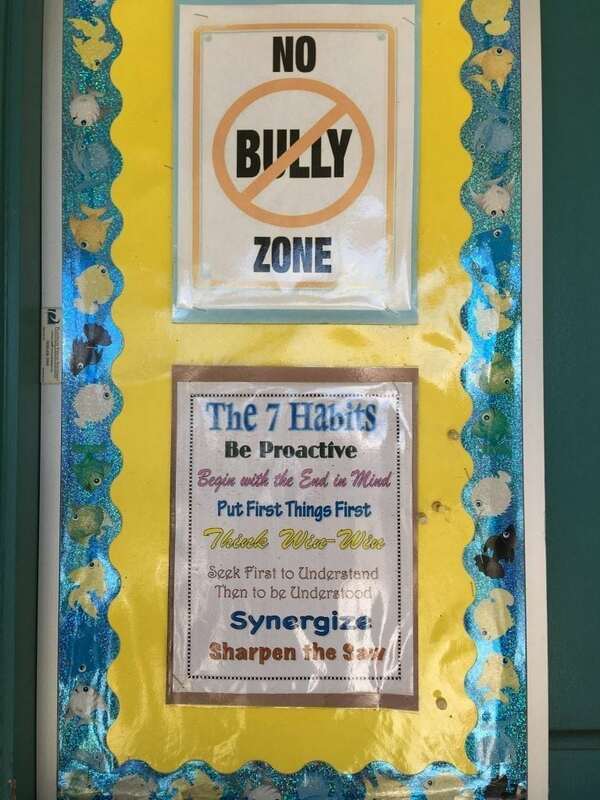 In a Leader in Me school, for example, students may be responsible for maintaining the school bathrooms, from picking up trash to ordering new supplies. “That little example can be multiplied a thousand times to a student-led empowerment movement and change the trajectory of the community,” says Sommers. She describes this philosophy as a “jiu-jitsu move,” giving kids enough support to allow them to succeed, but pulling back enough to allow them to fall forward and fail forward. 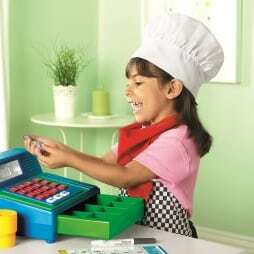 The program offers something for everyone, even the youngest students. “We can talk to 6-year-olds about the ‘carry your own weather’ concept, which means our own attitude is coming from within us, rather than circumstances being the dominating factor,” Sommers says. Leadership-development programs can also provide social and emotional support for kids who lack it in other areas of their lives. 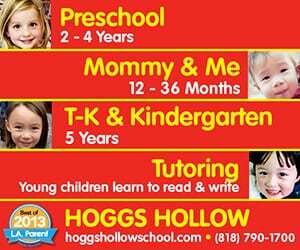 Heart of Los Angeles (HOLA) provides free academic support, art and music classes and athletics programs for underserved children. The level of commitment here is intense, requiring students to be at the Rampart District campus four days a week. The leadership aspect of HOLA has three components: peer mentoring, experiential learning through play, and service learning that helps students apply those skills to real-life situations. “Kids are at HOLA not just to receive services, but also because we believe their voice and energy is critical in making this community and world a better place,” says Senior Program Director Loren Rubin. For example, in partnership with the Play for Peace international nonprofit, high school kids from HOLA facilitate weekly sessions with younger kids to develop conflict resolution, group decision making and consensus building through the framework of cooperative play. 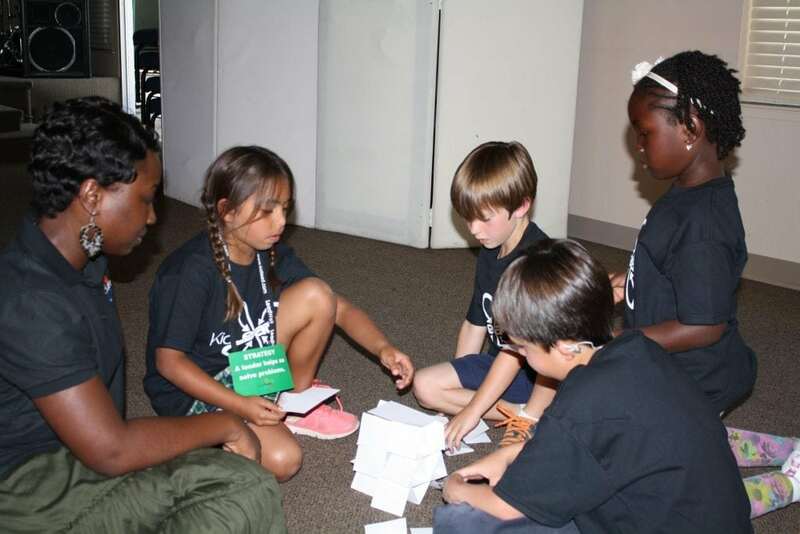 Working in groups gives kids new perspective on leadership. “I’ll start by asking the group, ‘How many of you see yourself as the top dog?’” says Rubin. “Out of 15 to 20 kids, maybe one or two hands go up. Then I ask, ‘How many of you are willing to do whatever you can to help your group?’ All the hands go up. That becomes our working definition of leadership.” Under those parameters, it becomes up to each individual to understand their talents and recognize what the group needs to succeed. Over at L.A.-based arc, which runs leadership programs in schools and organizations throughout Southern California, educators work with a similar approach. “We start off with ‘leadership animals,’ which is a fun way to break down the atypical characteristic of leadership,” says Brenna Johnston-Kosher, programs director for arc Adventure. The lion, for instance, is outspoken but could benefit from taking a step back and listening. The hardworking beaver takes on responsibility but needs to learn to delegate. The loyal Labrador, often the backbone of the team, needs to work on speaking up; and the quiet, intellectual owl might need someone else to give them a platform to solve problems. 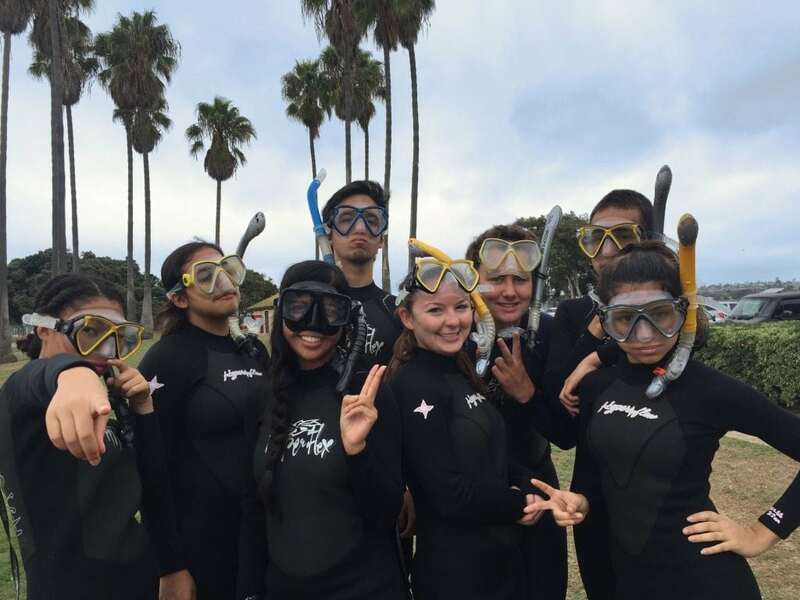 These extracurricular programs use games and team-building activities to develop leadership skills. Jessica Guendoley, a former HOLA student who is now a leader there, sees game-playing as a way to get students to look inward and examine their personal characteristics. “You can take a game and form a whole discussion around it,” she says. Guendoley recalls one game in which kids held hands and were encouraged to try to step on each other’s feet. When one boy, who happened to be wearing sandals, was asked about his strategy, he explained the he simply tried to step on the other guy even harder. When asked to dig deeper, the boy realized that when he was in a vulnerable state, he tended to attack twice as hard. There’s also a special interest, of late, in developing leadership skills among women. “Women tend to lead from a more centrist approach, and organizations in the future will need more of that,” says Nelson. But in high school, he explains, girls who had been leaders often find themselves deferring to boys. 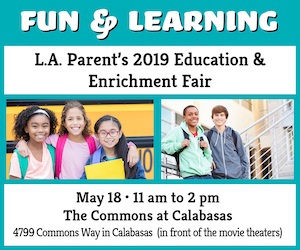 That phenomenon prompted Elizabeth Hicks to found Girls Academic Leadership Academy (GALA), a STEM-focused, all-girls school in the Los Angeles Unified district. The Mid-Wilshire-based school welcomed its first students in fall 2016. Hicks and her team surveyed a variety of companies and found that, along with technical knowledge, they are also looking for employees with strong writing ability and team-leadership skills. That’s why the school’s intensive math and science curriculum is paired with social-emotional development, team-building activities, public speaking and the chance to learn about real-world careers from women with STEM degrees. Whatever the gender, age, personality or life situation of the kids in these leadership programs, the end goal appears to be the same. “It’s about being able to lead a team and collaborate with others, to have people skills and communicate well, and have resiliency to work through any obstacles,” says Hicks. That’s a tall order, but by working with our children now to identify and expand their strengths and leadership skills, we’re giving them the tools for future success. The LeadYoung training system (www.leadyoungtraining.com) is an organizational leadership-training curricula for ages 3-23. Its website offers a chance to order training materials, free leadership assessments and information about the LeadYoung Institute, scheduled to be launched in the Conejo Valley this fall. The Leader In Me (www.theleaderinme.org) is a leadership-training program available through schools nationwide. 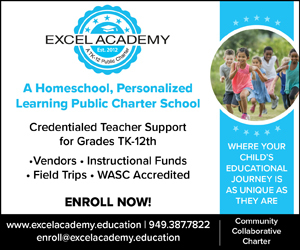 Its website includes information and resources for schools, plus information for parents on teaching leadership at home. The campus of Heart of Los Angeles (HOLA) (heartofla.org) is located near the Westlake area of downtown. The website offers information about programs in local schools and arts, athletic and wellness programs on its campus. 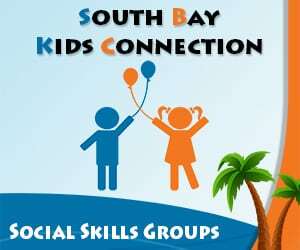 The arc website, arc-experience.com, lets families search for after-school programs throughout the area, and book team-building adventures for groups. Parents can also sign up to volunteer at local programs. 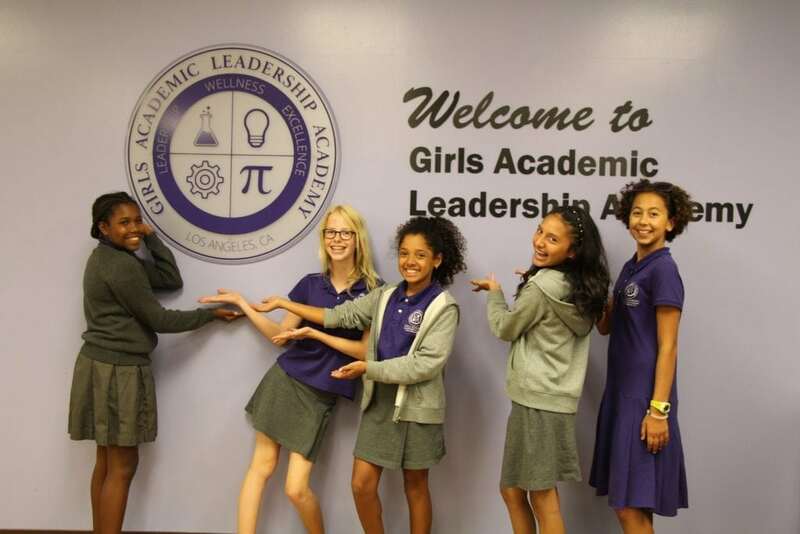 The Girls Academic Leadership Academy (GALA) (www.galacademy.org) is a Los Angeles Unified district charter school in the mid-Wilshire area. Its website offers information about programs, applications and school tours. Sarika Chawla is an L.A.-based writer, editor and mother of two.